Thanks for fantastic service and top quality plants. The garden looks so much brighter already! A small piece of heaven. When you see https in your title bar, click the gold lock for security info. Bacon and eggs syn. 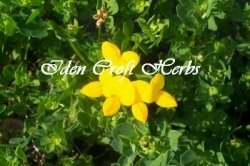 bird's foot trefoil Spreading perennial with upright stems. Yellow pea like flowers tipped red from early summer. Wildflower. Suitable for any fertile, free draining soil in full sun.